Letzte Änderung am Sonntag, 17. März 2019 um 20:29:45 Uhr. Herzlich Willkommen hier auf unserer Website !!! 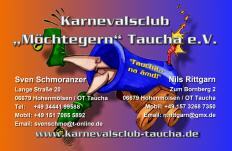 Hier findest Du viele Informationen über den KARNEVALSCLUB "MÖCHTEGERN" TAUCHA e.V.! Welcome here on our website !!! Here you will find a lot of information about the KARNEVALSCLUB "MÖCHTEGERN" TAUCHA e. V. ! By the way, you will also find things to know about our small Village Taucha and a few Taucha pictures! Wenn Du nach dem "Durchwühlen" dieser Website zusätzlich noch Fragen oder Anregungen haben solltest, oder uns buchen willst, kontaktiere uns bitte per e-mail. Und nun erst mal viel Spaß auf den weiteren Seiten !!! "TAUCHA - NA ÄMD !!!" If you have any additional questions or suggestions after browsing through this website, or if you would like to book us, please contact us by e-mail. 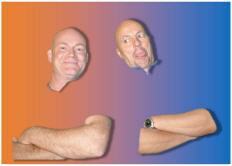 And now have fun on the following pages !!! 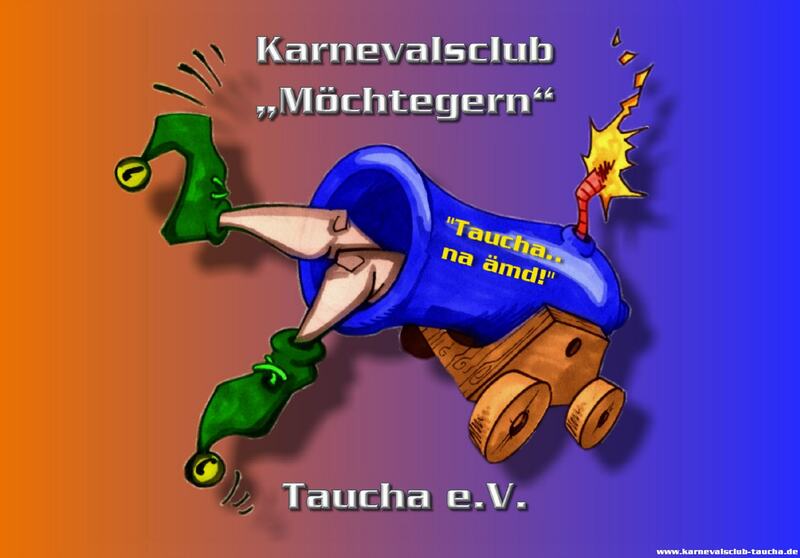 "TAUCHA - NA ÄMD !!!"